The Ensemble Theatre celebrates women’s history month with By the Way, Meet Vera Stark, by Pulitzer Prize-winning playwright Lynn Nottage and directed by Eileen J. Morris: March 15-April 13, 2014. Actress Michelle Elaine as Vera Stark. Photos courtesy of Humble Kingz Productions. 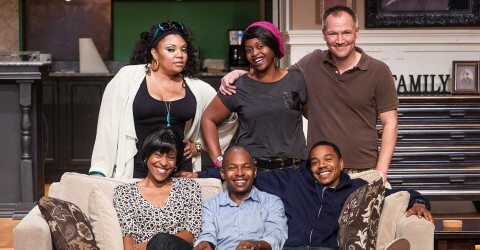 The play pays homage to Houston born actress Theresa Harris. She was an unforgettable face beside many budding actresses during Hollywood’s Golden era. Harris stood out as she was seen holding her own with Ginger Rogers, Bette Davis, and Jean Harlow; and she received equal film time alongside Barbara Stanwyck in the film “Baby Face.” She was a 1930’s singer, dancer, and actress whose roles in some cases and in the case of many African American actors during that time were un-credited. African American theatres across the U.S. continue to produce new and classic works that tell the rich stories of the African American experience; provide a place for African American artists to work together collectively in perfecting their craft; and ensure recognition of their many artistic, corporate, and community contributors. 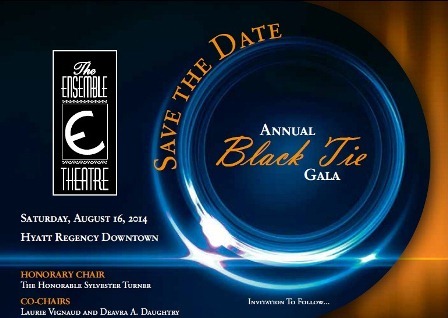 The Ensemble Theatre will host its annual black-tie gala and fundraiser Saturday, August 16, 2014 to recognize and celebrate artists, companies, and individuals whose unparalleled contributions and support enables The Ensemble Theatre to be one of Houston’s most coveted cultural institutional treasures.